The Providers follows three healthcare providers working at El Centro, a small group of safety-net clinics in northern New Mexico. Amidst personal struggles that at times reflect those of their patients, the journeys of the providers unfold as they work to reach rural Americans who would otherwise be left out of the healthcare system. In partnership with PBS Independent Lens. Mark your calendars on September 18 for this exciting opportunity to attend “An Evening of Poetry and Conversation with Nikki Giovanni.” The event will be held at the Mesa Arts Center’s Ikeda Theater and run from 6:30 p.m. to 8:30 p.m. This event is free. Find out more at this link. 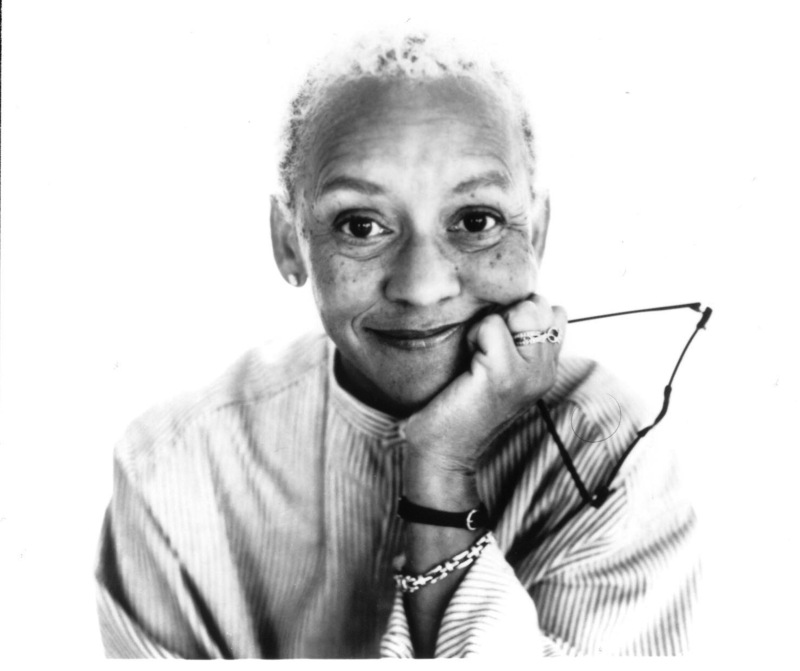 Nikki Giovanni is an American writer, commentator, activist, world renowned poet, powerful literary voice, and educator, currently at Virginia Tech. She is also one of the best known African American poets who reached prominence during the late 1960s and early 1970s. Her poetry reflects her own evolving awareness and experiences, starting from child to young women, seasoned civil rights activist to lecturer and educator, with all the steps between. Giovanni’s poetry expresses strong racial pride and respect for her family while her informal style makes her accessible to both children and adults. As the author of over 30 books and a Grammy nominee, her focus is on the individual and the power one can have on oneself as well as in the lives of others. Also, check out this article and interview that ASU’s Project Humanities posted in february back before the event was rescheduled. Project Humanities is a university-wide initiative at Arizona State University that strives to connect people through talking, listening, and connecting about the humanities. Every semester, Project Humanities chooses a theme that will guide their kick-off week and subsequent semester. Kick-off week for the Fall 2013 semester will run from September 16-21 with the focus of “Humor… Seriously.” Advertising intern April Hanks had the opportunity to conduct a phone interview with Neal Lester, Foundation Professor of English at Arizona State University and Director of Project Humanities. April Hanks: How would you explain project humanities to someone? Neal Lester: Project Humanities is a university-wide effort to demystify and to promote the relevance of humanities research and public programs across all campuses and into the surrounding communities. And we do that through a number of strategies that are research-specific as well as public programs that engage diverse communities. It’s all year round and it has been in place for about three years. AH: How did Project Humanities begin? NL: The germ of the idea began in fall 2010 and that’s when we assembled. I served as Dean of Humanities in the College of Liberal Arts and Sciences at the time and one of my charges was to make humanities more robust. It was at a time when a lot of humanities programs across the country were being cut because of budget and… around the country they seemed to be chopping at humanities courses first. So what I figured I needed to do in terms of making humanities more robust was to first sort of take humanities out of this notion that humanities happens within a classroom. [I needed to show] that humanities were bigger than discipline and that we could actually talk about humanities across all disciplines. And so that became sort of the focus. How do we talk across disciplines, how do we talk within disciplines so it’s not as if literary scholars are always talking with historians or historians are always talking to religious studies scholar? So there was an effort both to talk within disciplines, but also to talk beyond and across disciplines about those kinds of questions that humanities ask. And they’re not formulas. They’re not always black and white. But it’s to find meaning in those sort of grey spaces between, say, STEM disciplines and look at humanities as a way of basically helping us better understand what is going on in our lives and the world. NL: Communities. I get a little bothered when we sort of make community monolithic, because I don’t know what that means when we talk about the community. Because what Project Humanities tries to do is reach out to multiple communities and my personal sense is that each individual is a member of multiple communities simultaneously. We can certainly talk about communities within ASU, we can also talk about communities outside and beyond ASU. AH: How does Project Humanities engage with communities outside of ASU? NL: First of all, we have about 100 programs a year that we either sponsor or cosponsor. We’ve done Project Humanities events at churches that were not necessarily faith-based programs, we’ve had film screenings at one of the churches downtown, we had another public program at one of the cafes, the Fair Trade Café, we did another at Sunnyside Diner in Ahwatukee, we do things at the library, we had a program that was actually at The Lot, which is downtown Phoenix outside, we had one of our first programs that engaged the community at the Phoenix Youth Hostel, in addition to having programs on campuses across all four campuses. So that’s one way. Not only do we have programs at these other places, but we also invite people from these communities into ASU to sit on panels or into ASU to give a lecture or to participate in a conversation. For “Humor… Seriously” we actually have a representative from Tempe Improv as well as the National Comedy Theater, I believe, who are coming in to talk in the business school about the business of humor. So it’s not as much about being funny or talking about humor and how humor is done, we have other workshops about that, but this is how do you market humor. How do comedy clubs survive? How do improv groups survive? What is the entrepreneurial aspect of humor? So these are not people who are ASU people, they are coming from the outside. We also engage with national communities. So we don’t just deal with the local but we try to make sure that the local expertise interfaces with the national. So we have national speakers coming in, we have people leading workshops who are national experts. We also talk about the international communities and we have a visiting scholar now from Norway. And our Hand campaign, which is the t-shirts: people wearing the t-shirts and then sending us pictures from all over the world. So there are multiple ways we engage with communities outside of ASU but also communities inside of ASU. AH: You’ve mentioned several times that the focus for this semester is humor, so how did Project Humanities decide to focus on humor this semester? NL: We have a signature event: biannual kick-offs. And rather than doing what some universities have done, which is to just sort of throw anything and everything that has to do with humanities into a segment of the semester, we decided, this was a steering committee and I three years ago, that we would try to have some kind of thematic focus. But a thematic focus that would allow anybody doing anything across disciplines, communities, and professions. So then we did one on American music, and we had a number of performances. We had Blues at the MU, we had conversations about blues and memory, we had performances. I remember one in particular where we had a sold out audience in Old Main, where we had performances of gospel, of barber shop, and of poetry and rock. But punctuating each of those performances, and they were actually diverse, were music historians’ views of how these different genres connected. So it wasn’t just a series of performances as if you’ve been to a concert. Then we had another one on truth, and a lot of these come out of what’s happening in the world, so at the time it was about whether or not truth is overrated. People are always saying “tell the truth and nothing but the whole truth,” so we sort of explored that. What does it mean to do truth in art? The students had something about white lies: what does it mean when you’re just telling a little white lie? So there’s all these efforts to talk about truth. Then we did one on “Are We Losing Our Humanity?” And that one has been the one that has resonated in more far-reaching ways. And I say that because we built a summer film series around it, which is a film per month at one of the public libraries in Phoenix, not always at the same place. And that led to a number of public lectures that I did and continue to do because people are actually trying to give meaning to some of the stuff that doesn’t make sense, whether it be a Tucson tragedy, or Aurora, Colorado shootings, or Newtown, Connecticut, or any number of things that are happening in our own neighborhoods. So from “Are We Losing Our Humanity?” we moved into for the spring, “Heroes, Superheroes, and Superhumans.” And that seemed a natural fit because often times wherever there’s great tragedy we also hear these stories of great heroism. And we were also able to move not only into comic books, but also in terms of veterans as heroes, teachers as heroes, everyday heroism. And we created a number of activities around the theme. From that, the humor felt like everybody could bring something to the table on humor. And it was not just comedy, so we deliberately didn’t name it comedy, but we tried to look at humor not only from a scholarly perspective, but also from a performance perspective. So we’ve got a couple of open mics, we’ve got workshops, we’ve got film screenings, we’ve got lectures, we’ve got a funniest teacher contest that’s coming up. So the idea is to try to find something that everyone can potentially participate in so that it’s not something that excludes people. AH: What is your future vision for Project Humanities? 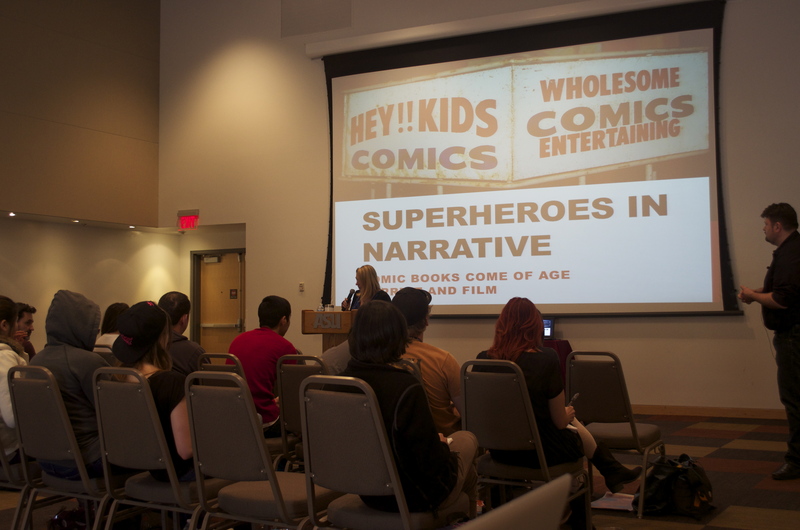 For more information on Project Humanities or their fall kick-off events, check out the Project Humanities website (http://humanities.asu.edu/) or Facebook (https://www.facebook.com/projecthumanities). (Mesa, AZ, September 6, 2013) –Superstition Review is continuing its popular reading series this fall with a talk, book-signing, and Q&A with Author Laurie Notaro. Laurie Notaro was born in Brooklyn, New York, then spent the remainder of her formative years in Phoenix, AZ, where she created something of a checkered past. She is the New York Times Best-selling author of the humor memoirs The Idiot Girls Action Adventure Club, Autobiography of a Fat Bride, I Love Everybody and Other Atrocious Lies, We Thought You Would Be Prettier, Idiot Girls’ Christmas, There’s a Slight Chance I Might Be Going to Hell, and The Idiot Girls. She is a terrible typist, doesn’t suffer Big Ikes very well, and lives under an assumed name in Eugene, Oregon where her neighbors believe she is writing about them, but she is not. She has a cute dog, a nice husband and misses Mexican food like a limb lost to diabetes. While no one can exactly teach you how to be a comedian, this talk can demonstrate where to find the funny, how to get it off to a running start, establish timing, and then incorporate humor into your writing. Notaro will discuss the mechanics of humor, voice, the role of rhythm, subject matter and the value of relatability, as well as writing for your audience vs. writing for yourself while merging the two approaches. This Superstition Review event is co-sponsored by the School of Letters and Sciences and Project Humanities as part of Project Humanities’ Fall 2013 Kickoff Week, with the theme of “Humor…Seriously!” The evening will include refreshments, a book sale and signing, and an author Q&A. Hosted by the ASU Project Humanities, bell hooks, well-known author and cultural critic, will be speaking on the Arizona State University Tempe and West Campuses. Her February 13th presentation will touch on issues of race and gender and will be followed by a Q&A. 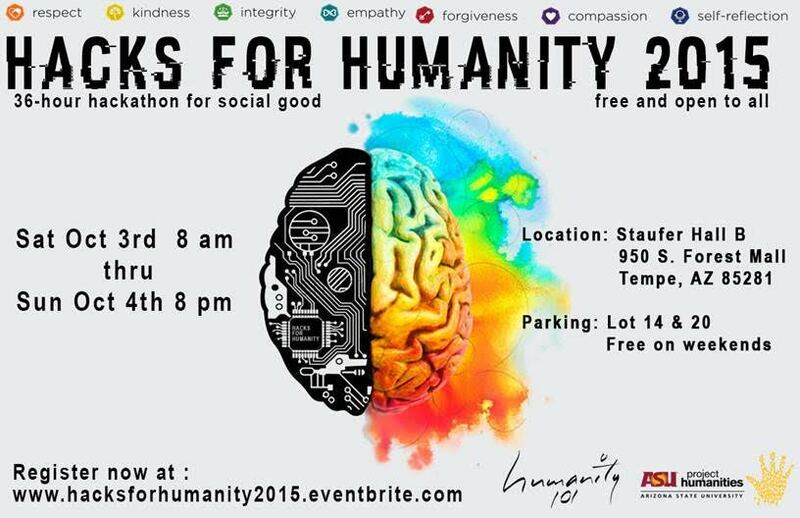 The event will run from 7:00-8:30PM in the Katzin Music Hall on the Tempe campus. The event is free and open to the public, but seating is limited. Doors will open at 6:30PM. The February 14th event will feature a conversation on the feature film and critically acclaimed novel, The Help. 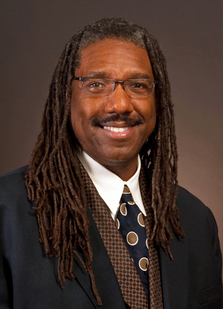 The presentation will begin at 3:30-5:00PM at will take place in the La Sala C Lecture Hall on the ASU West campus. 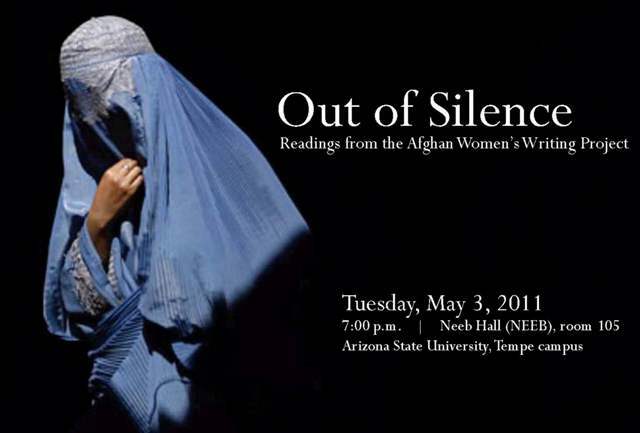 You can find more information on the event on the Arizona State University Project Humanities page.